Alfred was educated at Guy's Hospital, where he took the M.R.C.S., L.R.C.P., and the M.B., B.S. in 1905. 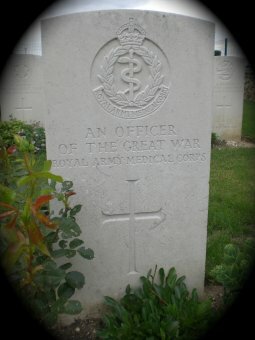 After qualifying he took up the posts of house-surgeon, clinical assistant, and out-patient officer at the London Hospital. He joined the R.A.M.C. at the rank of lieutenant on 31st July 1909, and was promoted to Captain on 31st January 1913. He was posted to serve in India in 1912. He died of pneumonia at Rawai Pindi.